Almighty God, who into the place of the traitor Judas chose thy faithful servant Matthias to be of the number of the twelve Apostles; grant that Thy Church, being always preserved from false Apostles, may be ordered and guided by faithful and true pastors; through Jesus Christ our Lord. Amen. Today is the Feast of St. Matthias, apostle, and patron saint of alcoholics, carpenters, and tailors. 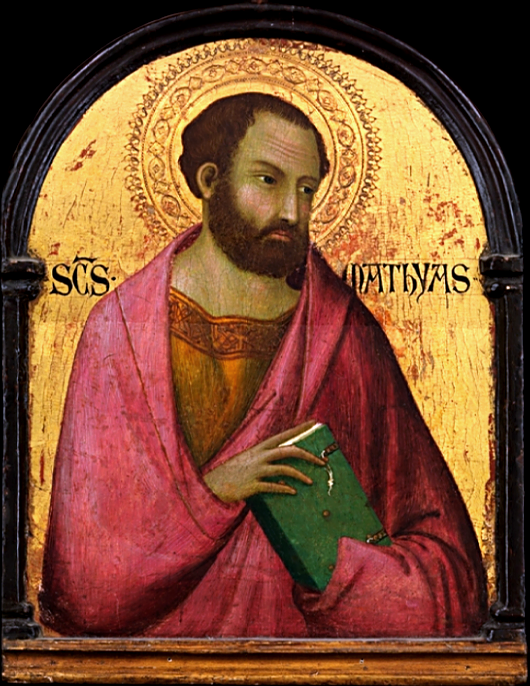 St. Matthias answered the call to leadership in the church replacing Judas, and becoming the 12th apostle and going on to spread the message of the Gospel in Judea, Cappadocia, Egypt and Ethiopia for 30 years before being stoned and beheaded as a martyr. The call that Jesus made to Matthias is still a call to us all, to be apostles and spread the Gospel message with joy, love, and mercy. St. Matthias, Pray for Us !